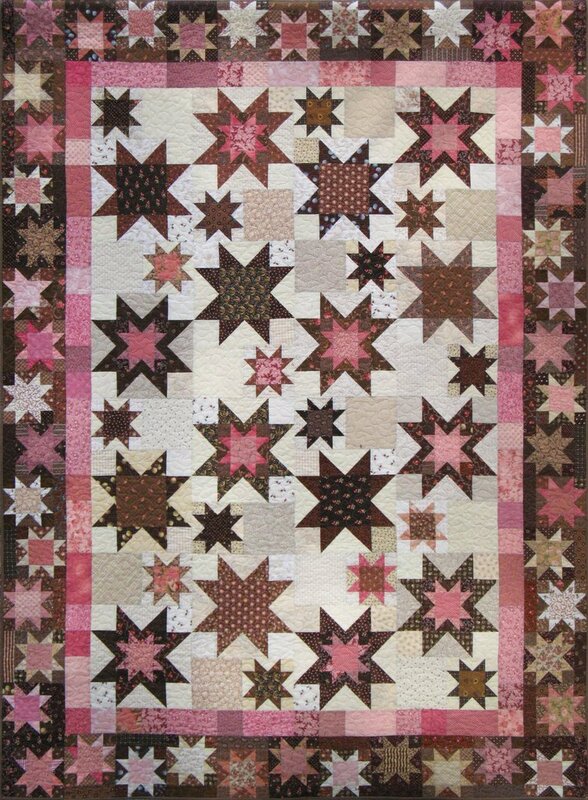 A modern method for creating a starry quilt, and one that is scrap-friendly, too! The cover photo for this pattern makes us think of chocolate and raspberries, so think about how this might look in other delicious color combinations! Deb Tucker's method, using her Wing Clipper 1 tool (available on our website!) and no "Y"seams in construction, make this quilt go together quickly! 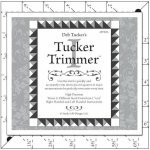 Deb Tucker's Studio 180 has many helpful instructional videos on YouTube to assist quilters, too! Uses scraps, border, and background fabrics. Quilt size: 69" x 93"
Block size: 6" x 6" and 12" x 12"